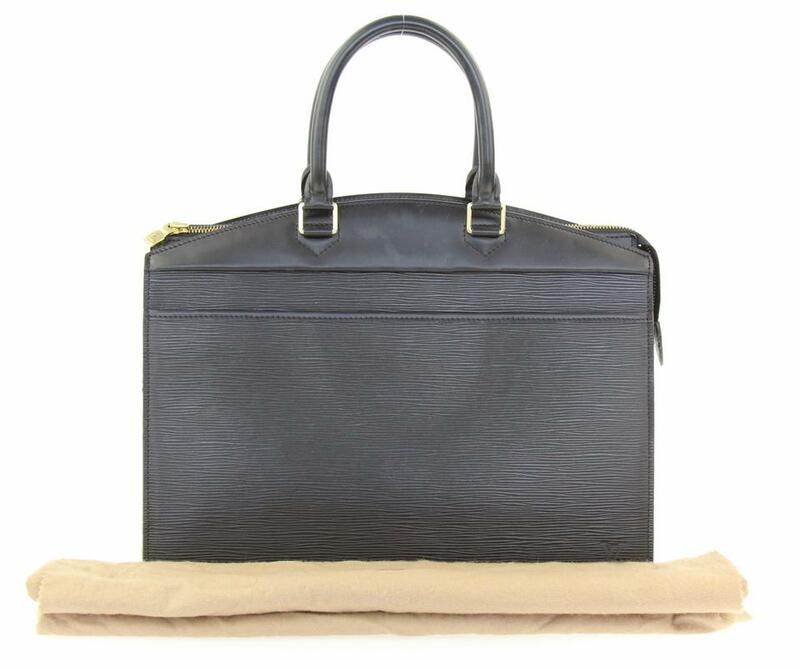 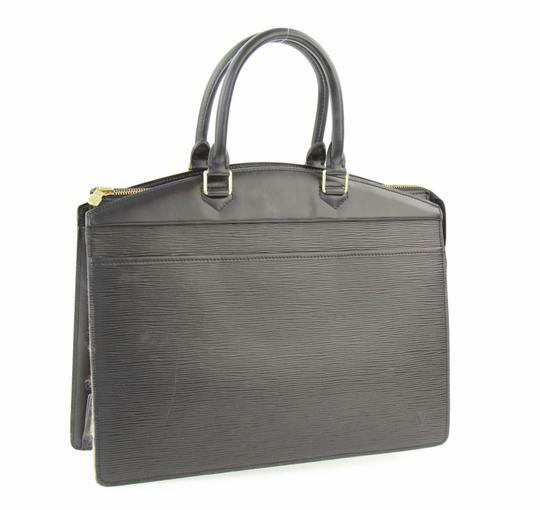 This Riviera satchel is in vintage, pre-owned condition. 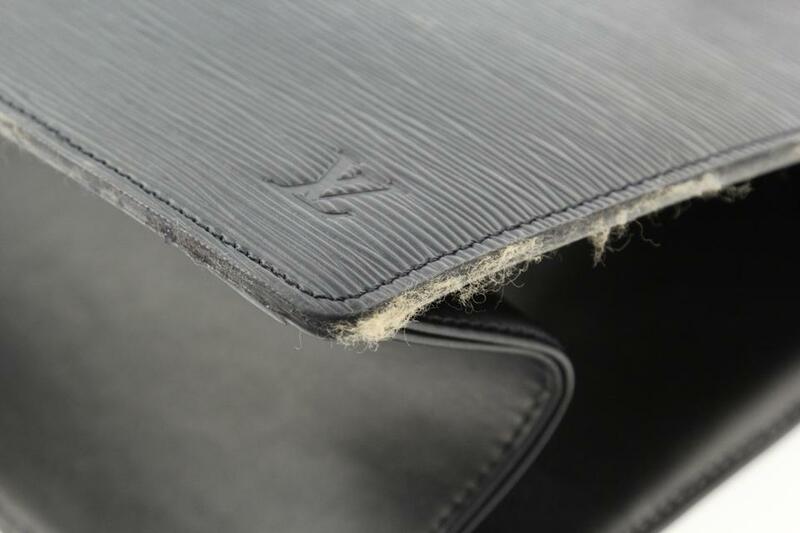 The resin edges have fuzz stuck to it throughout. 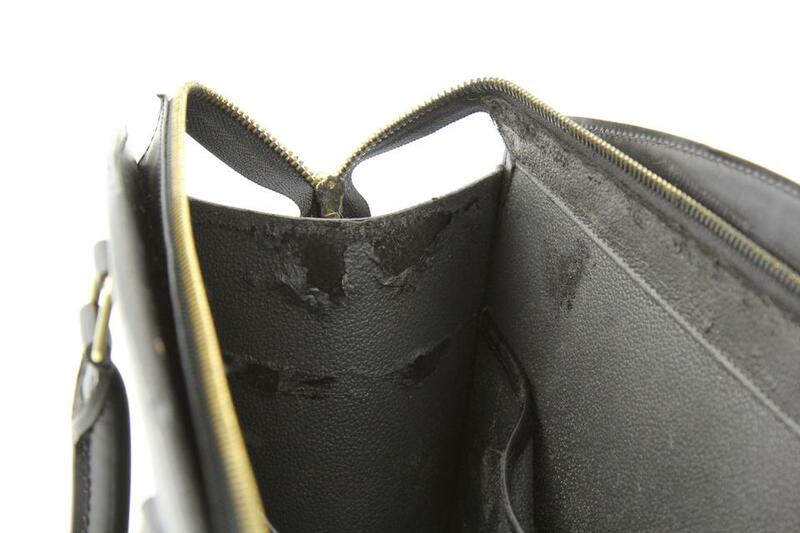 There are a few light scratches throughout the epi leather. 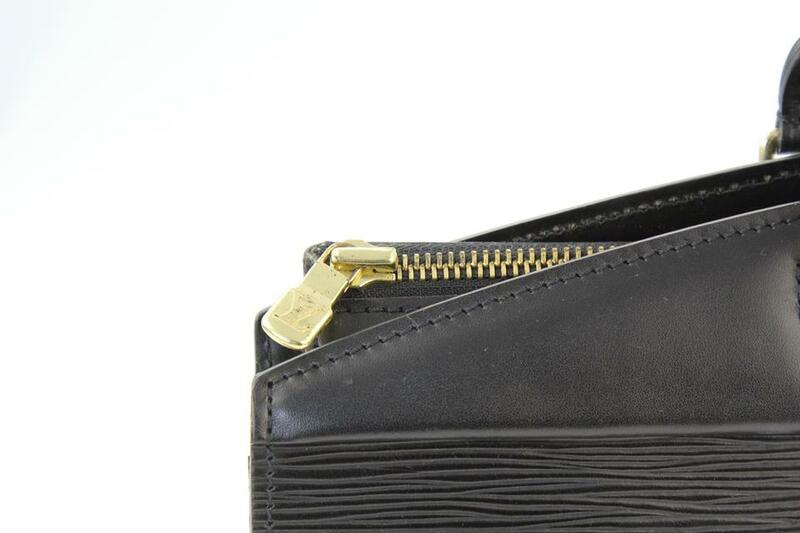 The hardware is scratched and slightly tarnished throughout; the zipper is slightly tough as well. 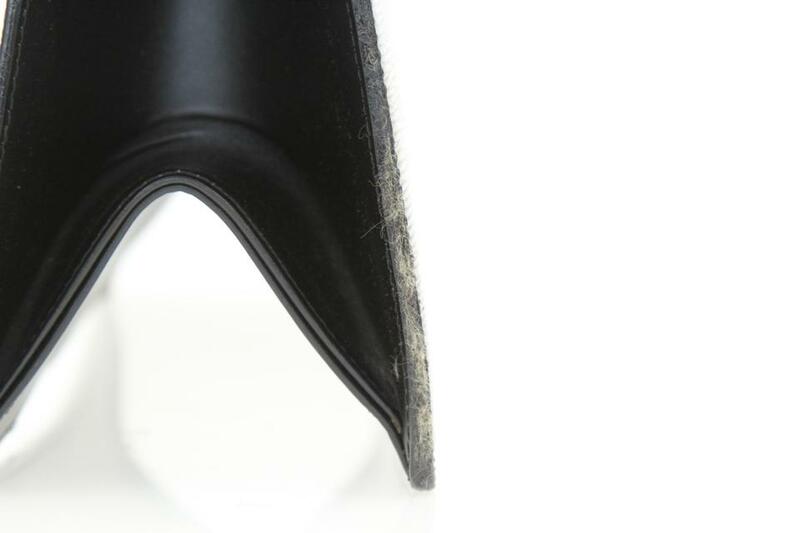 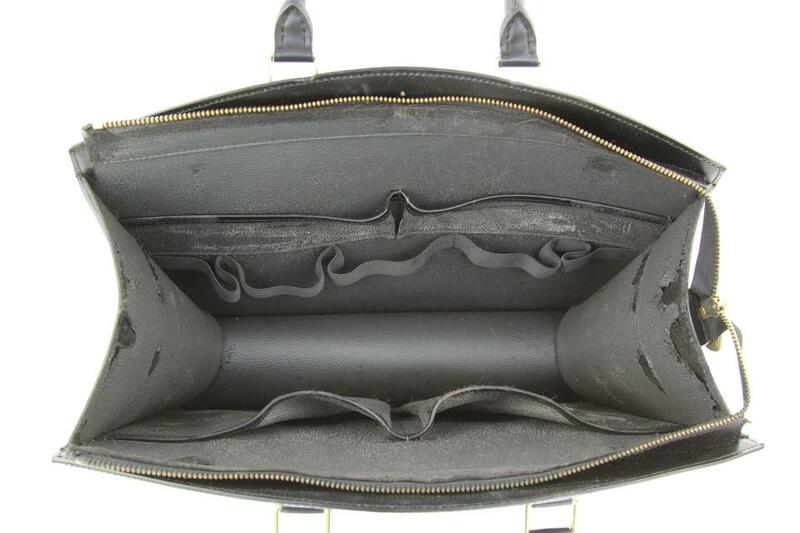 The lining is sticky and peeling throughout; the lining will most likely need to be replaced. 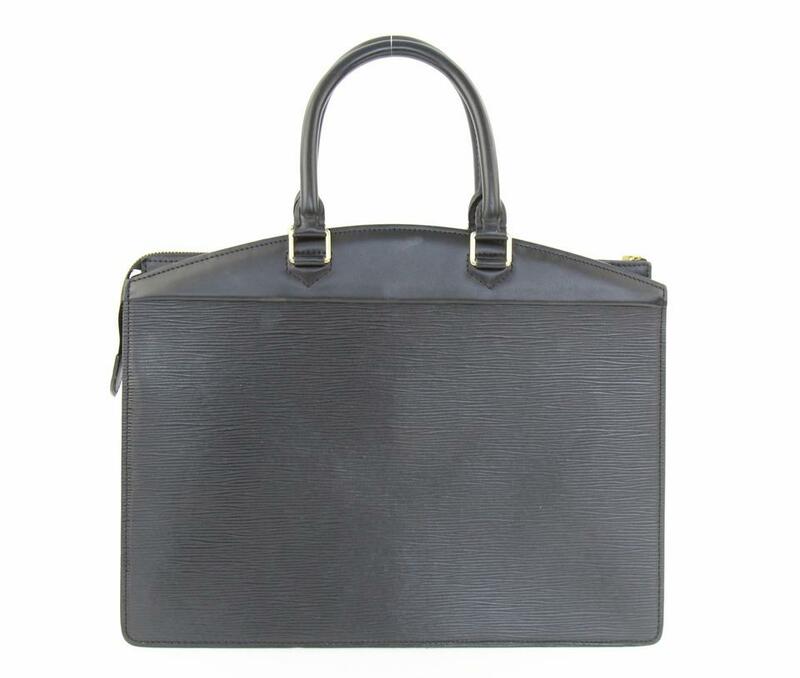 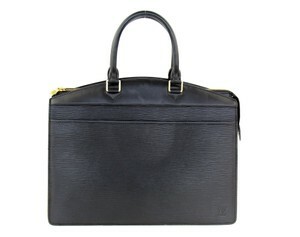 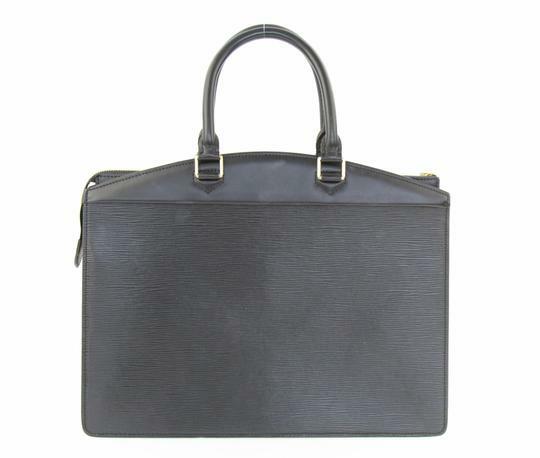 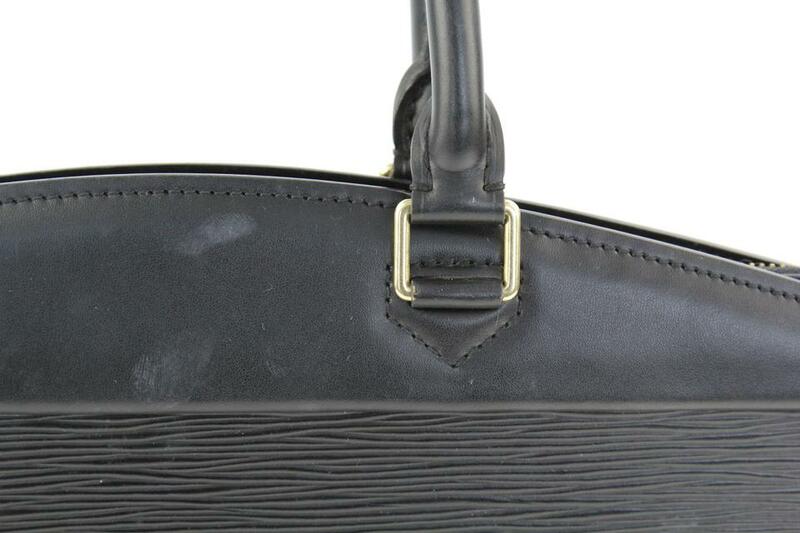 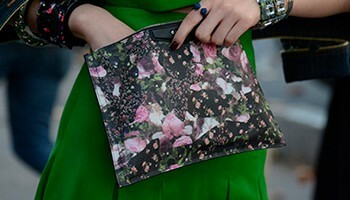 In the mid-80's, The Epi Leather Line was introduced, the brands first permanent collection of all-leather handbags. 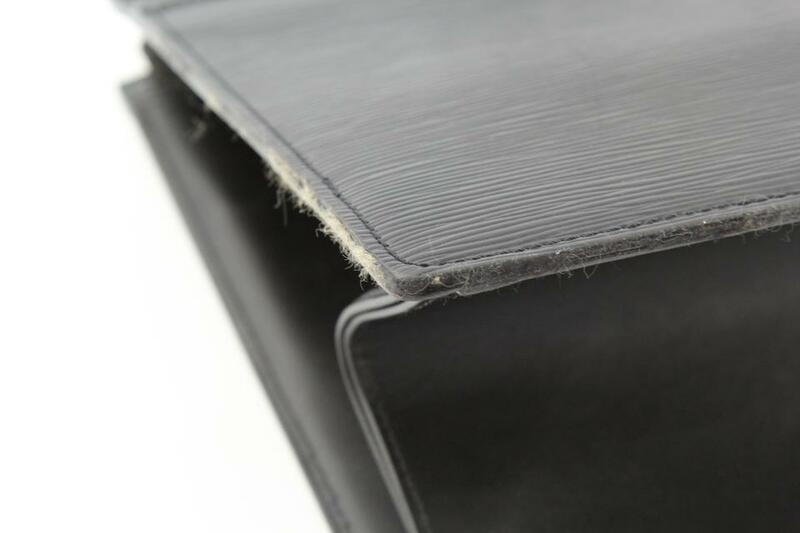 Epi leather was created because of the need for more durable materials necessary for modern travel conditions.